USM creates opportunities for businesses by using subcontractors to provide some of the labor, materials, and equipment we use to service our clients in facilities maintenance, HVAC services, electrical construction, and more. Local subcontractors perform as much as 80 percent of the work for which USM is responsible. USM is committed to utilizing subcontractors who are a part of the local community. We strive to develop local subcontractors with relevant skills and interests. This permits mutually beneficial relationships that allow efficient delivery of services to our clients and ultimately, to the users of the facilities. 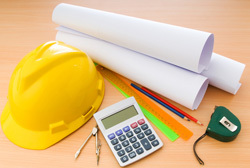 Subcontractors are encouraged to present innovative solutions to delivering services. This allows USM, subcontractors, and the client to benefit from efficiencies and new technologies. If you would like to be a registered subcontractor with USM, please fill out the appropriate online form. You will then be added to our database and receive notices accordingly.